European airport parking leader, ParkVia, has further bolstered its airline portfolio with the addition of Cyprus’ flag carrier, Cyprus Airways. 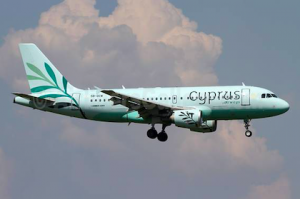 With a long-term goal to cultivate tourism by building a strong, reliable national airline, Cyprus Airways has outlined its commitment to enhancing the passenger travel experience by collaborating with ParkVia to offer its customers online parking reservations. Powered through dedicated micro-site cyprusairways.parkvia.com, the newly created platform will allow users to search, browse and book parking alongside their flights at a number of popular destinations worldwide – including Prague, Verona, Zurich and Athens. Alongside the dynamic pre and post-booking touchpoints, customers will also be able to compare individual car park features, prices and consumer reviews via the platform’s intuitive search engine capabilities. ParkVia’s expertise in developing and marketing online channels to boost the visibility and reach of its partners’ parking offers, enables ease of access for a global network of customers looking for a fast yet intelligent booking service. “As we continue to evolve our passenger services, collaborating with like-minded partners such as ParkVia enables the airline to maximise opportunities for growth and opens up a new stream of distribution channels. In July 2018, Cyprus Airways successfully passed the International Air Transport Association (IATA) Operational Safety Audit (IOSA), one of the highest standards in the world for airline operational safety. In October 2018, the company became a member of International Air Transport Association (IATA). To find out more about ParkVia, please visit www.parkvia.com. As Europe’s favourite airport parking retailer, ParkVia is dedicated to connecting the world’s drivers with parking spaces in 42 countries. Its online retail platform allows consumers to book parking as part of their journey, working with both car park operators and travel industry market leaders to ensure that parking is visible at the right time. Founded in 2008, ParkVia has grown in popularity and reputation over the last 11 years, particularly within the wider airport parking sector. As an established partner for many of the world’s leading international airports, ParkVia is able to maximise visibility for official car parks and ancillary products by covering more points of entry with its targeted marketing expertise. Today the services of over 2,000 parking providers are promoted to ParkVia’s 3.5m registered users, as well as a large network of partner websites, that includes airlines, travel partners, online travel agents and in-car navigation technology – making it an attractive and lucrative proposition for partners looking to collaborate for white label and in-path projects.